Can the food you eat really impact how efficiently your body burns calories? It seems like every other month there is new hype about which foods can speed up your metabolism and help you burn those extra pounds. People respond with curiosity and willingness and try just about everything. After all, who doesn’t want to eat and shed pounds at the same time? To better understand how food affects metabolism, let’s review how it works. Metabolic rate refers to the number of calories burned by the body each day. This number comes from a mathematical equation that includes your resting metabolic rate, physical activity and the thermic effect of food. The resting metabolic rate is the largest component, unfortunately, we have very little if any control over this number. Physical activity makes up 30-50% of your rate, and we have complete control over that, as well as the thermic effect of foods (TEF). Although it only makes up 10% of your metabolic rate, what you choose to eat is completely up to you! Carbohydrates burn 5-10% of calories eaten, fat 0-5%, and protein 20-30%. You may have heard that eating spicy foods can rev up your metabolism. This claim does indeed have some foundation. The belief is that eating spicy foods raises your body temperature which in turns means your body spends extra energy cooling itself, and therefore, increasing your metabolic rate. Numerous studies have confirmed that capsaicin, the compound in chili peppers which gives them all the heat, does indeed raise your metabolism. A 2011 study even found that taking a ¼ teaspoon of cayenne pepper increased the calories burned in the following meal! But before you drown all your food in hot sauce, you should know that the increased calorie-burn only amounted to an average of 10 calories! Interestingly, drinking cold water also gives you a metabolic boost! If you require a large glass of iced water after eating spicy foods, you are increasing your odds for achieving a speedier metabolism. Research suggests that those who consume 8 to 12 glasses of water per day burn more calories than people who only drink up to 4 glasses per day. These two facts are good enough reasons to make some Spicy Peanut Noodles for lunch today! However, if you need one more, how about the fact that they taste amazing! The nutty flavor and spicy red chili match in this sauce recipe give new life to plain noodles. No need for heavy cream sauces when enjoying noodles! Try this recipe with the addition of steamed edamame or tofu for a complete vegetarian meal. Cooked thin noodles of your choice. We recommend rice noodles or whole wheat noodles. Mix all ingredients for the sauce except for water in a container you can seal with a lid and shake well. Lastly, add in one tablespoon of water at a time until desired consistency. Pour the sauce over hot cooked noodles and serve! Breakfast is the most important meal of the day! Or is it? The idea of eating something in the early hours of the day has been a topic of discussion for years in the health and nutrition field. The simple definition of breakfast has been called into question. Is breakfast the first meal you have in the day regardless of what time it occurs? Or, alternatively, is a meal considered breakfast only if it is consumed before 11 am? Does it make a difference if a person is awake at 5am versus 8am? These are all great questions, and unfortunately some without readily available answers. Here is what we do know however, and hopefully this information can help you decide how to change— or not change your current lifestyle. The best time to eat is within 60 minutes of waking up. Your blood sugar is naturally low when you wake up, assuming you have had at least seven to eight hours of sleep. Therefore, eating within 60 minutes of getting up can help prevent a complete blood sugar crash. If you ignore this, and just wait until three to four hours after waking up, close to lunch time, you are at high risk of overeating to compensate for the lack of energy because you are feeling post- blood sugar lows. Timing is important after all, but you may not need to sit down and have a complete meal to prevent a crash. Simply consuming 100 to 150 calories of balanced carbohydrates and protein may do the trick. However, if you do have time to sit down and have a more complete meal in the early hours of the day, you may reap some benefits. Data from combined studies all suggest that individuals who eat a meal in the first hour after waking up are less likely to be overweight since they are better able to control their meal choices for the remainder of the day. Have you ever gone grocery shopping when you are extremely hungry? You walk out of the grocery store with double the amount of food you realistically need, including a few items you just couldn’t resist — things that you normally would not purchase. The same concept applies to when you skip that first caloric intake of the day. You operate on a brain influenced by lack of fuel. Our brain uses glucose, a form of sugar, as energy fuel. When you don’t have readily available energy, your reaction may be delayed, your ability to think clearly is impaired, and you are at higher risk for making impulsive decisions. Beyond just helping your weight management strategies by curbing your appetite for the duration of the day, eating breakfast also jumpstarts your metabolism. Eating sets in motion numerous biological processes related to digesting and storing food. These metabolic pathways result in increased energy expenditure, also known as diet induced thermogenesis (DIT). The combination of adequate energy levels post- breakfast and a metabolically active system are positive points leading us to conclude that eating breakfast is indeed a very good idea! This still leaves the question, is it really the “most important meal” of the day? That is a question that only you can answer! And your answer depends upon your current priorities. If you are in pursuit of a weight loss goal, then yes, this first meal could be the missing link ready to set you on a path to success. However, what you eat for breakfast is likely the more important component. To fuel our brain, as mentioned above, readily available energy in the form of sugar is necessary. Including fruits and whole grains takes care of that portion. Also, to meet your daily requirement for protein, it is important to consume about 20 percent of your daily protein goal in the morning. Lastly, healthy fats should also have a presence in your first caloric intake for the day. This is not only due to their value as a satiety tool, but also because they contain essential fatty acids along with other nutrients integral to your health. Many Americans have time constraints as their main obstacle when it comes to adhering to a healthy breakfast routine. That is where the food industry has thrived in marketing on-the-go breakfast foods such as granola bars, pocket sandwiches and morning energy drinks. A cheaper and often healthier option is to make your own on-the-go items when you have time, and store them for the week. Well then, our Tahini and Oats Breakfast Cookie gives you a reason to get up in the morning! 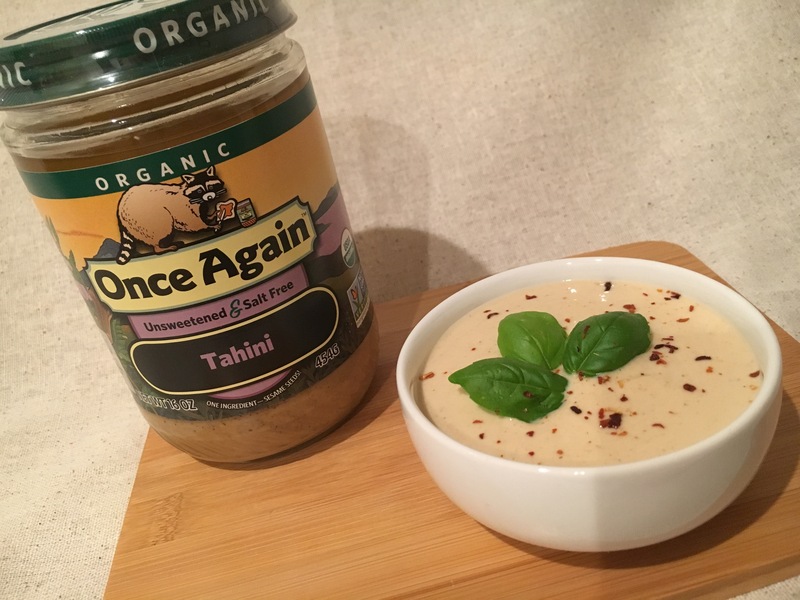 The combination of all the health benefits associated with oats’ high fiber content, the plant protein and healthy fats found in almonds and tahini (sesame seed paste), the touch of sweetness from the honey which contains anti-inflammatory properties, covers most of your needs to jump- start your busy day. They are also convenient for those who get their daily exercise early in the morning. By condensing nutrients and calories into small bite sizes, you can consume something before your workout and avoid common GI- related side effects associated with eating right before aerobic activities. Feel free to tweak the recipe to better fit your needs. 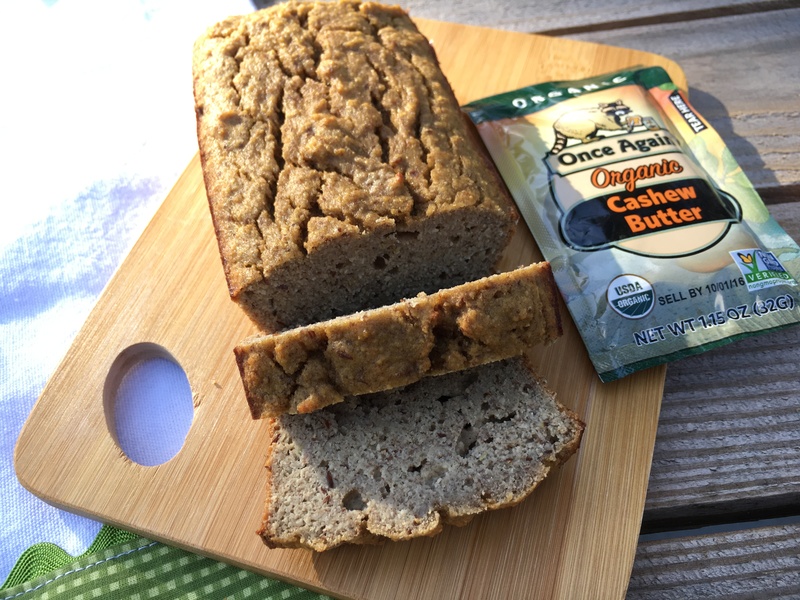 Consider perhaps the addition of flax seeds for an even higher content of omegas, fiber and protein, or the substitution of stevia instead of the honey for a lower sugar content. Stay in control of what you eat by selecting the very best ingredients every time you bake. You can count and rely on our nut and seed butters since they (except for lightly sweetened options, just look at the labels) only contain one ingredient! In medium sized bowl combine tahini and maple syrup (or honey) well. Add in oats, almonds, and cinnamon. Lastly, stir in chocolate chips or dried cranberries. You may also use both, 1/3 cup of each works well. On baking sheet, drop 1 tablespoon of batter for each cookie, and using a fork flatten them to bake evenly. Bake at 350 degrees Fahrenheit for 10 to 15 minutes or until golden brown on edges. Remove from oven and let it cook for a few minutes before serving. Store in airtight container for 4 days at room temperature, or in refrigerator for up to 7 days. In a small jar, (Here’s a tip: Use your empty Once Again Nut Butter jars! 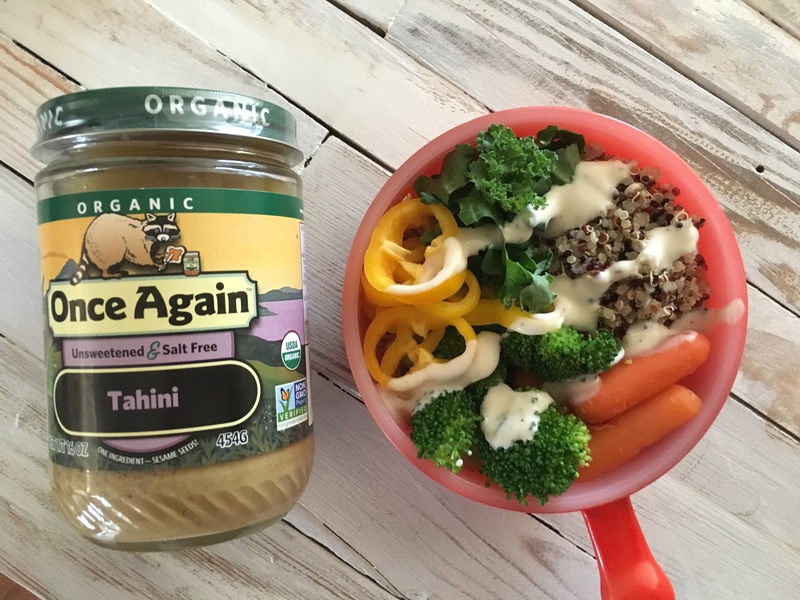 This is a great way to recycle them) add tahini, the juice of 1 lemon, plus the zest of that lemon, 1 teaspoon of garlic paste (or 1 garlic clove smashed), salt, and olive oil. Replace lid, and shake the mixture well. Now add 2-3 tablespoons of warm water until desired thickness for your dressing is achieved. We suggest no more than 4 tablespoons of warm water so that the flavor of the dressing is not diluted. You should store leftover dressing in the refrigerator for up to 4 days. In a medium bowl, add 2 tablespoons of coconut oil, 1 ½ tablespoons of honey, and 2 tablespoons of peanut butter, and stir well. Now add the dry ingredients in any order you choose (except for the chocolate). Mix well and spread on a baking sheet using a flat spatula. The mixture should be about ¼ inch thick. Place in pre-heated oven at 350 degrees Fahrenheit for 15 minutes, or until edges are slightly golden. Remove from oven and let it cool. In small bowl, melt the chocolate chips, and combine the other 2 tablespoons of coconut oil. Pour over brittle mixture, and spread it out in a thin layer. Let it cool and set until it hardens. To speed up the process, place the brittle in refrigerator for 15 minutes. Finally, using your hands, break the brittle into pieces and enjoy! Any leftovers must be stored in the refrigerator.